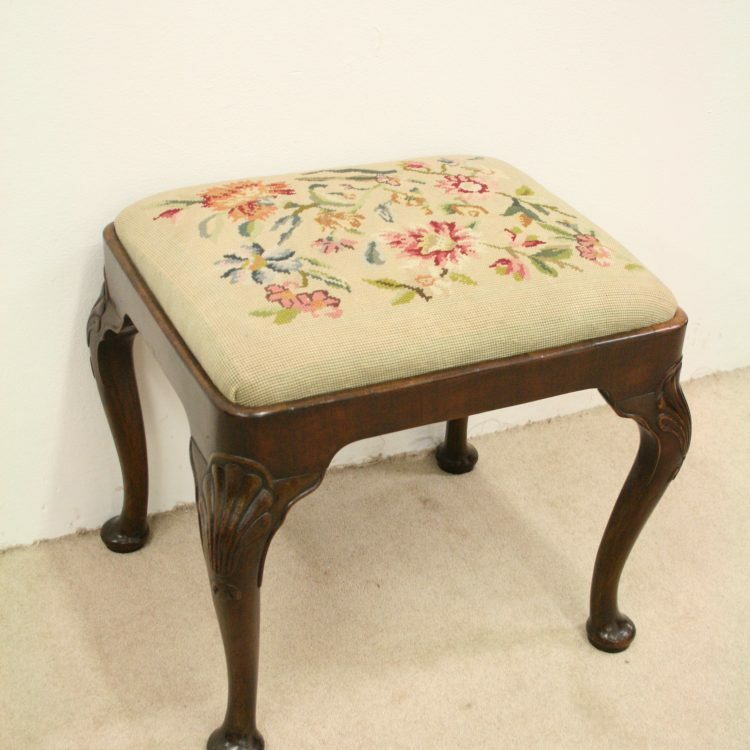 Circa 1900, a George II style stool. 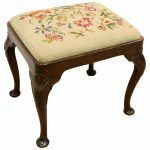 The rectangular shaped stool has a needlepoint top, drop in pad, half round fore-edge and stylish apron. 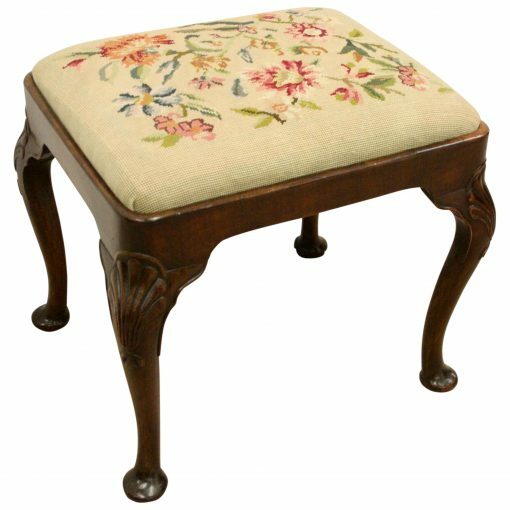 The stool is walnut and stands on 4 elegant but simple cabriole legs. 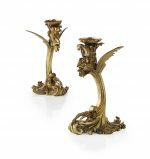 At the top of the legs there is a carved shell which continues down the front forming a single bell drop. There are simple but stylish quarter blocks on each of the legs. As the legs continue down they finish on a simple squat pad foot. 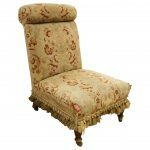 Size 48cm high x 53cm wide x 44cm deep.